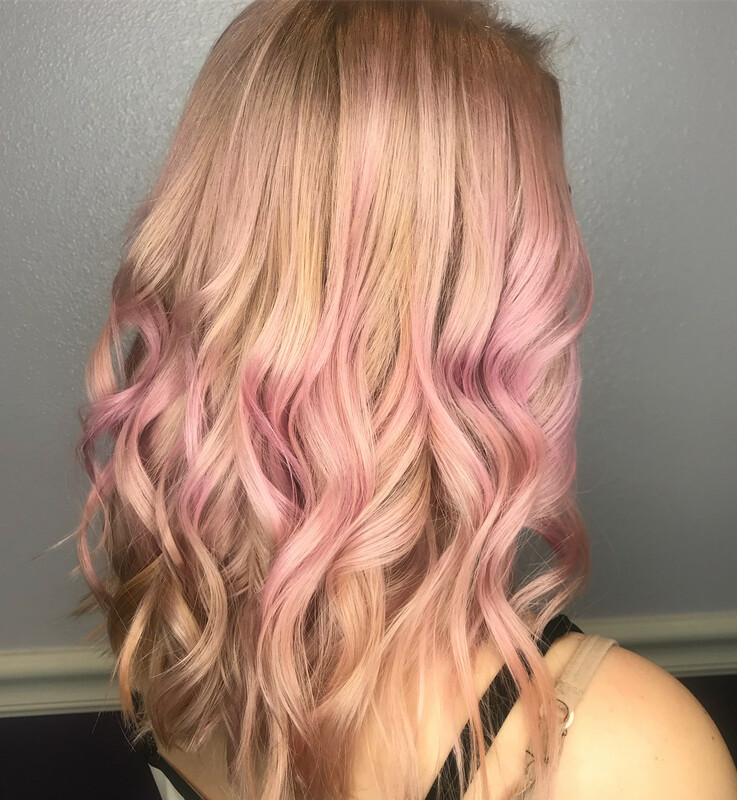 Calico blonde to Strawberry Blonde Pink. Six-hour hair color correction by Katie Miller. Hairstyle, hair color, and haircut at Vamp Salon LLC . Inspirations come from nature to create this truly unique TIGI Copyright Colour.